This week my PARiM Workforce Management Software blog continues to look at the PROCESSES part of the SIA’s ACS Self Assessment Workbook Guide and deals with the detail of this section. Get the access to the Part 1 here! In this series of blogs I am attempting to simplify and suggest ways to help your company meet the requirements as laid out in the Self Assessment Workbook Guide. I am sure business licensing is coming and whether we like it or not it’s on its way and I believe it is a good thing. Now, it may be delayed by the general election and all that entails for legislative inertia but it should happen sometime in 2015. The guide details what you, your company, your staff and clients need to do in order for your company to be gain or maintain ACS Accreditation. So fundamental to getting to grips with ACS Accreditation Criteria #2 The Processes section is that an accredited security provider can demonstrate that the management and staff have identified and understood the company’s key service delivery processes and can readily demonstrate not only their understanding but that there is an audit trail to back up each of the processes outlined above. The first part of my PROCESSES’ blog can be found here. 2.3.1 deals with how your company reflects the wishes and requirements of your customers. Again a tip would be to download a statement of work template or simple contract template either from simply-docs or Microsoft office! This means that you can both see and refer to it whenever you want and your key management staff can refer to it as frequently as required to ensure they deliver the service level agreed with the client. If you do this I would expect your client to not only be mightily impressed but also give great feedback through the system, all recorded and auditable and another box ticked in the quest for ACS Accreditation audit compliance! 2.3.2 Covers the impact your service and the delivery of that service can have on members of the public. Make sure all your employees understand the impact they have or potentially have on members of public when delivering the service as well as how to protect the public at all times. Not only do they need to be properly and fully trained either in-house or by an organisation like Exclusec Security but you may need to carry out risk assessments. Download and amend a template for interaction with customers so that notes can be made, then saved on the system for any such interactions that may occur. Having agreed the terms and conditions, the pricing and timescale of the service you are to supply your clients, you need to draw up a contract and get it signed. Once again I suggest using a template from one of the providers mentioned above and then load it up on your client’s portal. Once you grant him access he has no excuse not to download it, print it, sign it, scan it and load it back up using the same portal. Then it’s there for all to see, including your auditor. This level of visibility should remove any misunderstandings, duplication of work or effort or potential loss of key documentation. Any other documentation that needs to be drawn up such as CCTV policy statements can then also be loaded up to the system. 1. The term ‘subcontractors’ does not apply to staff obtained through an agency. 2. Approved contractors can only subcontract provision of a security service (for which they are approved) to other approved contractors. The exception is where a subcontractor ONLY supplies labour. In this case, organisations that fall in this category are not required to be approved. As you’d expect, whilst not requiring the same amount of detailed information N.I number etc you need to manage staff provided by an agency or “subcontractor” as closely as you would manage your own. My suggestion would be to make them register their details with your security workforce management program and clock in and out just as your own staff do, granting them access to specifications and ensuring they read them and meet your targets for service delivery as your own staff are expected to. Once you have them on your system you can email them notifications of shifts, specifications, direct customer requests and treat the communication with them, the same as all other staff. All of your contracts should have levels of service that detail the work to be carried out and are relevant to the size and complexity of the client. These need to be agreed with your client. As before my advice would be once agreed, upload them up on the client’s self service portal removing misunderstandings and mistakes and maintaining a level of transparency and visibility that should impress your client and is auditable – another box ticked. Where you identify areas where your service is poorer than expected, you should have a clear, auditable plan to rectify and improve this. who is to take these actions. Then load up the action plan on the site, the staff members and relevant manager and the client’s portal so that your staff can see in black and white what they have to change or do so that the service delivery performance improves. If you are already delivering a good performance don’t get complacent. Keep challenging what you are doing, how you can improve, encourage suggestions from your staff (their own staff portal would encourage this) and how you are going to maintain this high level of service. What threatens it? A SWOT analysis if you will – Strengths, Weaknesses, Opportunities and Threats. Perhaps you could use a standard questionnaire to survey your clients or a product like Survey Monkey and regularly (not pester) email them to ask them what they think. A practical alternative to emailing them is to just load the questionnaire on their portal and they will be notified automatically – another example of minimising the mundane. Keep your questionnaire simple, their responses simple and don’t give them an odd number of choices because experience and statistics show the majority will choose the middle option! This sub-section deals not with contingency planning (as previously discussed) but with incidents or events that are out of the ordinary that occur whilst delivering your normal service. You need to have an incident reporting procedure as part of your staff handbook (loaded up for all staff to see) and have an escalation procedure maybe specific to each client or site also loaded up for the staff to see. Then, when an incident occurs, if your staff cannot remember what to do or who to contact they can readily find the correct documentation and contact info instantly on their phone! ask staff for feedback on procedures (again done more easily through the staff portal). In terms of contracts these questions should definitely be asked at the start, renewal and end of each contract in the form of an “EXIT STYLE INTERVIEW”. Some of the most valuable information and learning you and your company can do is from clients and staff that have no axe to grind, but are leaving or ceasing their contract because they often feel more able to be open and straight with you. Failing any of the opportunities above, at the very least, review everything annually. As a company you need to have a system in place to monitor and track attendance. This covers time tracking, worksheets, absences and holidays and to deal with non attendance at a customer’s site. to be able to inform a customer that your records confirm the attendance of a relevant staff member. You can use vehicle tracking systems or a check call and mobile device monitoring system. Our system, PARiM allows you to GPS locate a site and check that the member of staff has indeed been on site when they have clocked in. If you choose to switch it on, the client access portal not only shows the client which of your staff is attending his site and when (accessible 24/7) but also allows the client to check and authorise the relevant timesheets. In my last blog I forgot to mention I came across a service penetration service that seemed to be well respected and recommended called Silverfox. In conclusion I would keep a copy of your system diagram or listing on your management system. Within a good, workforce management software you can quite often find a document management system that allows you to upload documents, store them and then choose who has access, by individual or staff member. 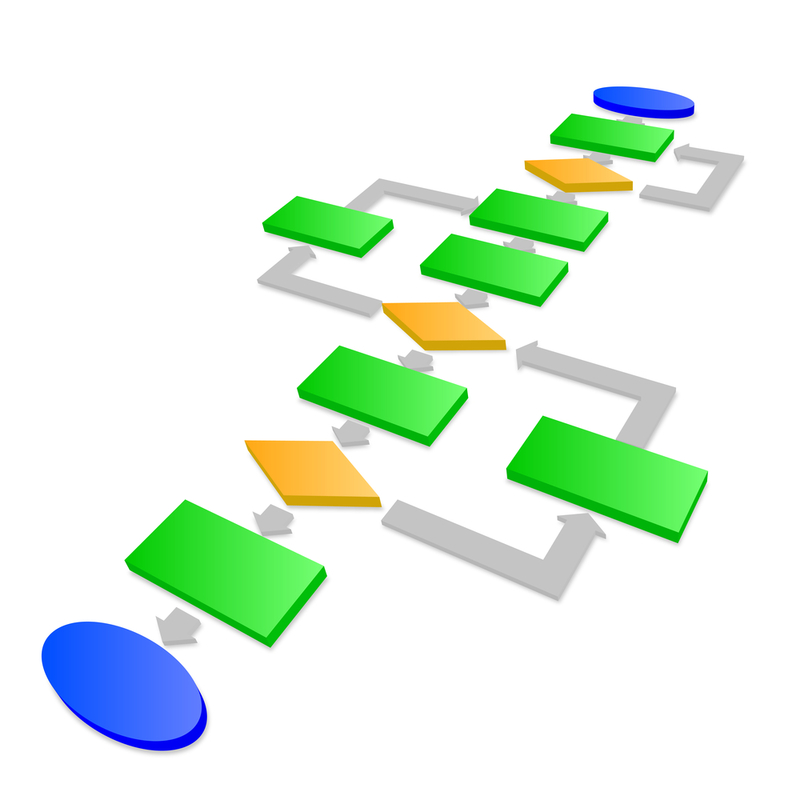 Upload each version of your system plan annotating any improvements and explaining the reasons for those improvements. That way it can be checked and revised instantly and easily. My experience of processes is that they are very necessary but laborious to create, install and monitor. Therefore, as with many of the mundane administrative tasks within your business, the more you can embrace and use technology the better. It has to be the right sort of software mind you. One that’s easy and simple to use and run, one that all your staff can understand and engage with. This was the starting point for PARiM. See how to automate your processes and make ACS Accreditation easier. Sign up for a free trial here!